The Painted Turtle's mission is to provide a year-round, life-changing environment and authentic camp experience for children with chronic and life-threatening illnesses. 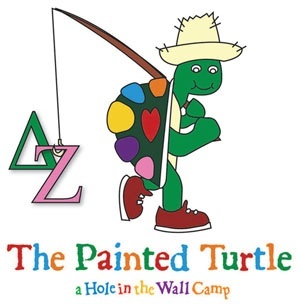 Delta Zeta supports The Painted Turtle camp as one of its national service projects through fundraising, donating items on The Painted Turtle's wish list, and our collegiate and alumnae members who volunteer their time to the camp, helping the children that it serves. The Painted Turtle supports children's medical needs, inspires them to reach beyond their illnesses, and provides care, education, and respite for their families. There is no billing department. All campers and families attend free of charge. The Painted Turtle camp is associated with Paul Newman's Hole in the Wall camps. Visit The Painted Turtle camp at http://www.thepaintedturtle.org/turtle/.